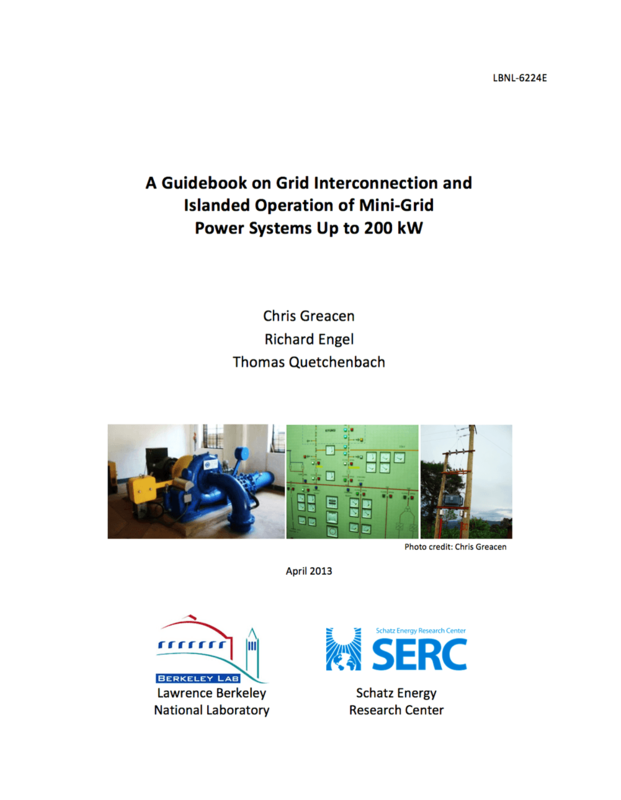 A Guidebook on Grid Interconnection and Islanded Operation of Mini-Grid Power Systems Up to 200 kW is intended to help meet the widespread need for guidance, standards, and procedures for interconnecting mini-grids with the central electric grid as rural electrification advances in developing countries, bringing these once separate power systems together. The guidebook aims to help owners and operators of renewable energy mini-grids understand the technical options available, safety and reliability issues, and engineering and administrative costs of different choices for grid interconnection. Mini-grids have long been used as an alternative to expansion of national electric grids to bring electrification to remote rural areas in developing countries. These mini-grids may use non-renewable (e.g., diesel generators) or renewable (e.g., solar photovoltaic systems or micro-hydropower) resources or a combination of both as their power source. 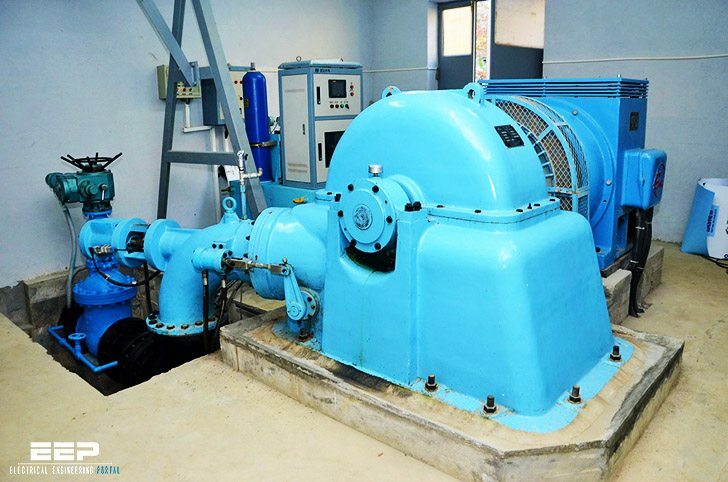 Traditionally, these mini-grids have operated in isolation from the main grid, but this is changing as main grids extend their reach into rural areas, offering the opportunity to interconnect existing mini-grids with national or regional energy infrastructure. A grid-connected renewable energy mini-grid includes a locally available energy source (e.g. solar radiation), a device for converting this energy into AC electrical power (which may include a DC-AC inverter), loads, and a point of common coupling where the customer-owned equipment interfaces with the local electric utility’s distribution system. See Figure 1 for a schematic illustration. Of course, many mini-grids do not start out being connected to the main utility grid. Consider a scenario that has played out hundreds of times: an electric energy system powers a rural distribution mini-grid in a rural village. Let’s call this the base case, or “option 0”. After years or decades of operation, the utility grid expands into the area. 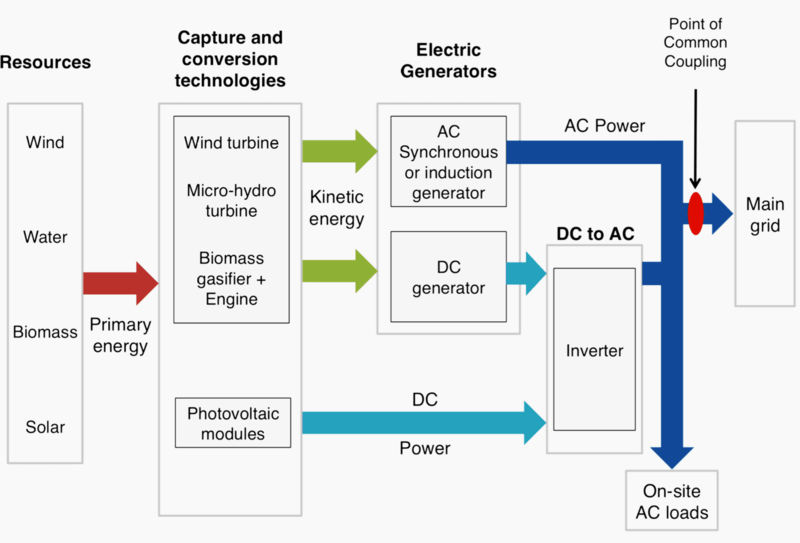 For customers, the main grid offers an electricity supply constrained neither by the mini-grid’s generation capacity nor by real-time renewable energy resource availability. This, in turn, can enable expansion of the customer base in step with growing village populations and/or expanded use of electricity such as cooking, space and water heating, or rural industrial loads. For mini-grid operators, grid interconnection may provide an opportunity to increase revenue by selling surplus electricity to the utility. area switching over to the utility grid (no SPP or SPD option). Hi Edvard, your web site is really good – thanks for all your effort.